I've wanted chickens for as long as I could remember. As a vegetarian I eat a lot of eggs, I have always preferred to use organic eggs because of the welfare standards and organic eggs are expensive! When we had our dog Taz we couldn't possibly have chickens because he would have tried to retrieve them all the time and it wouldn't have been fair. 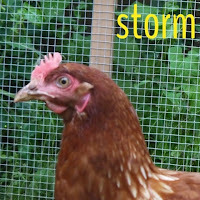 When we sadly lost Taz in Nov 2010 we no longer had a reason not to have chickens, but the hubs wasn't keen, the kids really wanted them too and I borrowed books from a friend who keeps chickens and read up so I could try and convince the hubs that they would make great pets and also provide the organic eggs we were paying a lot of money for! 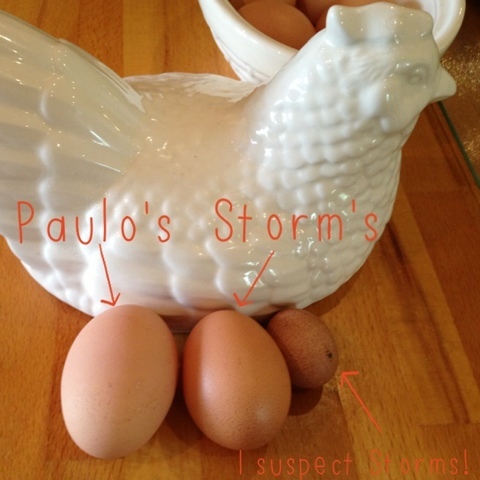 The hubs couldn't be convinced and so I gave up, then for my birthday in March 2012 he gave me a chicken coup, I was ecstatic! 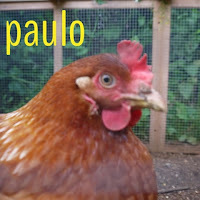 The kids each gave me a 'voucher' for a chicken and so in April we got 2 red rangers from our local garden centre, our coup is supposed to be able to keep 6 hens but I wanted to just get a couple to start with and then maybe extend our 'flock' if they were a sucess. 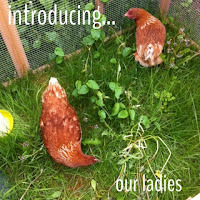 Our initial plan was to let the chickens free range but after having them for a few days it was obvious that our garden was not suitable to allow them to do this and so we stuck with our 2 birds. 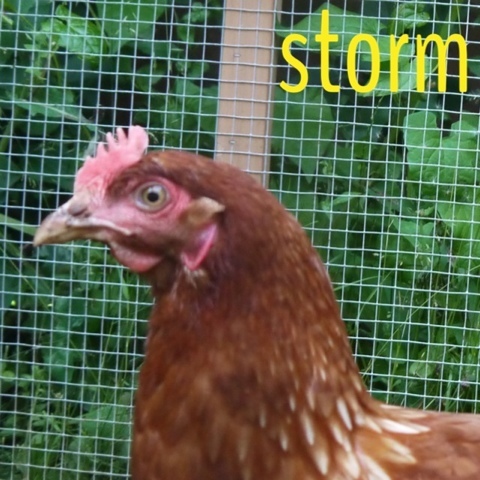 It sounds funny but they have very different personalities, Storm is calm and jumpy, she has a lighter wattle & comb and lays smaller brown eggs. 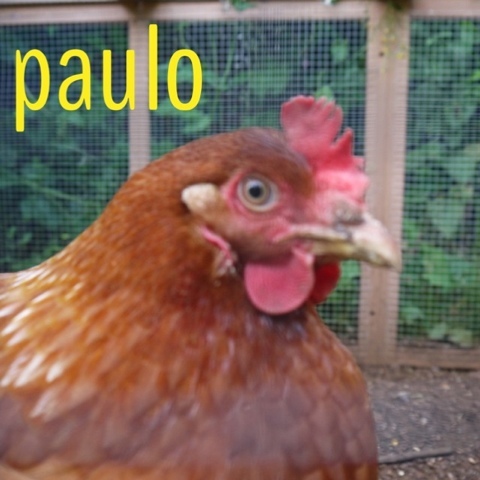 Paulo is slightly aggressive and nips, she has a deeper red wattle & comb and lays medium buff coloured eggs. We've had our ladies now for 16 months, they were 18 weeks old when we got them, they have been fantastic layers and most of the time we do get 2 eggs a day which is perfect for our size family. I love being able to go out and get eggs for breakfast and look forward to the time that T can go out on his own and collect the eggs. Over the winter we plan to move the chickens to our drive at the top of the garden, here they will be able to roam free as we are hoping to make it chicken friendly. Hens make fantastic pets and give you more than love back in return, I look forward to sharing more chicken tales with you in the future.